Raising a kid is a hell of a responsibility at parent’s part and each of the parent want to do the best for their kids. Gone are the days when the gender mattered to parents, now what parents want is a healthy child. When kids are growing parents start planning in which school they will be admitted? What they will become? What do parents want? What kind of people we want our kids to meet? And many questions that help parents identifying the right and wrong for their kids. There is a saying ‘Happy Parents Make Happy Child‘. OR If Mama aint Happy, Nobody’s Happy. What you do would be done by your kids. One best way to teach your kids how to stay happy is to show them Happy you are. Pay a lot of attention towards your kids, the reason being if you stop giving them time they will feel ignorant and left out. Try to say ‘No’ to your kids, because they will face a lot No once they will be out of home. begin the practice from your home and make them realize that even under a protective shell they can face the no. According to the market people who practice gratitude on a daily basis are 25% happier than everyone else. Don’t forget to feel grateful in the hustle and bustle of busy life; expressing a thankful thought is more that good manners. There is a strong link between self esteem and happiness. Once you praise your kid his (or her) self worth will be boosted eventually resulting in happiness. 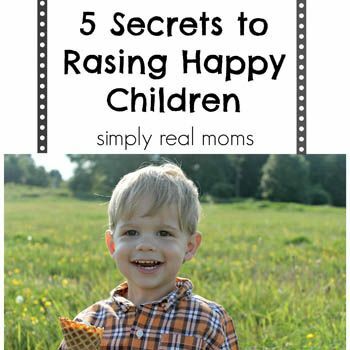 Also motivate your kid to repeat the good deeds so each time he (or she) finds a reason to stay happy.